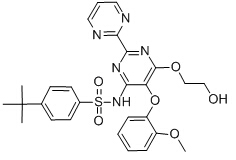 Aprocitentan is the major and pharmacologically active metabolite of macitentan, which is dual ETA/ETB antagonist designed for tissue targeting. BQ-123 is a elective ETA endothelin receptor antagonist (Ki values are 1.4 and 1500 nM at ETA and ETB receptors respectively). 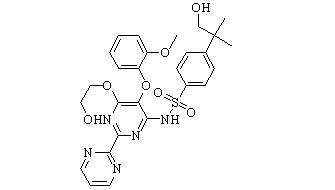 IRL-1620, also known as SPI-1620, is an endothelin B receptor agonist. 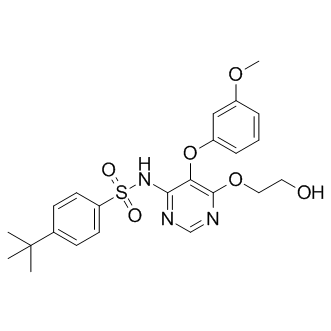 Sitaxsentan sodium (TBC11251 sodium salt) is an orally active, highly selective antagonist of endothelin A receptors. Bosentan is a competitive and dual antagonist of endothelin-1 at the endothelin-A (ET-A) and endothelin-B (ET-B) receptors.